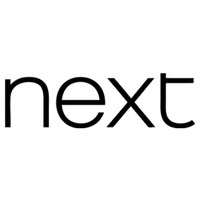 Next is a multinational clothing, footwear and home products retailer with over 590 stores in the UK, making them the largest clothing retailer in the country. They attract a huge number of applicants and see significant volumes of candidates applying for their entry-level retail positions, including Sales Consultants and Stockroom Assistants. The busiest recruitment period for Next is between October to January, when hundreds of Sales Consultant and Stockroom Assistant positions become available for seasonal staff vacancies. Aiming to refresh their previous recruitment process and responding to the challenge of a significant increase in applications for their retail roles, they needed to identify assessment methods, which would improve sifting and accuracy of a large volumes of candidates, while maintaining a fair and positive candidate experience. Next chose Criterion Partnership based on our significant experience and working relationships with clients in the retail sector as well as our online volume recruitment and selection assessment expertise. To provide a fit for purpose and elegant online recruitment process, Criterion Partnership identified the need to introduce an objective, role-focused sifting of candidates at the application stage. Criterion Partnership conducted extensive in-store job analysis (using various techniques including focus groups and interviews) with current Sales Consultants and Stockroom Assistants, as well as their Managers, across different UK regions. This gained an insightful and thorough understanding of the demands and challenges of the role as well as associated qualities, motivation and culture fit attributes to identify high-quality candidates for Next. 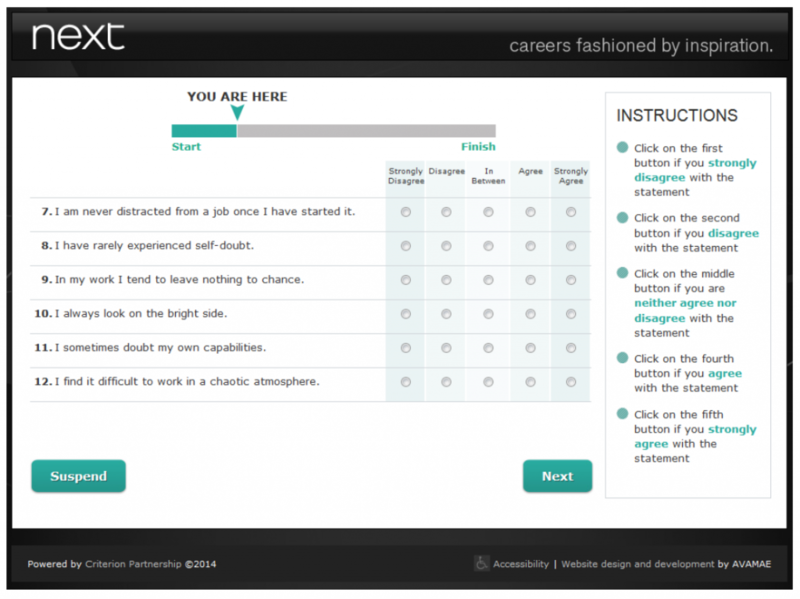 Based on our research, we designed bespoke role-specific ability tests and personality questionnaires, alongside online scored application forms in time for the nationwide Next Retail 2013 Christmas staff recruitment. Following up confirmed an increased quality of hire, shown through a positive relationship between candidate assessment scores at the application and sifting stage as well as performance in the role. As a result, Criterion now work with other parts and levels of the business including Next Distribution, Directory and Head Office, to roll out and support Next recruitment strategies.